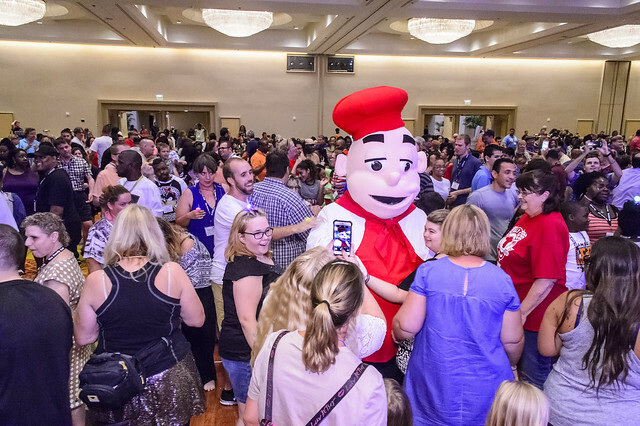 The Family Cafe is pleased to share nearly 650 photos from The 19th Annual Family Cafe at the Hyatt Regency Orlando this past June! From the Thursday pre-conference trainings, through the keynote addresses and the Annual Governor's Summit on Disabilities, to the Duck Race on Sunday, everything that happened at this year's Annual Family Cafe is here in our photo gallery. If you were with us in Orlando, you might even find yourself in there! We had a wonderful time hosting the event, and these pictures capture the fun, excitement and camaraderie that make The Annual Family Cafe so amazing. We hope you enjoy looking through them! Click the image below to get to the gallery. And remember, you can find all of the pictures from Family Cafe events taken over the years on our flickr page here.